Startups tend to be created by people who burn with an idea and want to put it into action as soon as possible. Money is usually tight, and expenses run high, what with product development, promotion, and all the rest of it. When managing priorities, emerging businesspeople often neglect matters related to information security. This post is about why one shouldn’t do that. 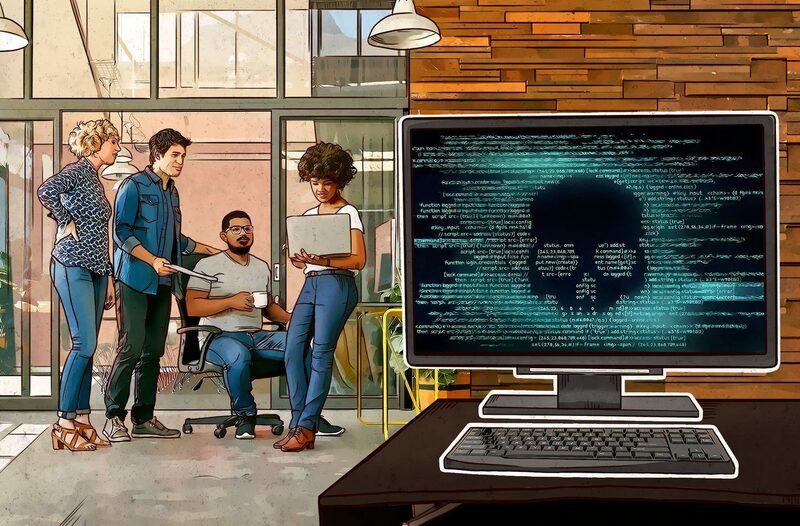 Many startups try to save on security, confident that a small company with limited resources holds no interest for cybercriminals. The truth is, anyone can fall victim to cybercrime. First, because many cyberthreats are massive in scale, their originators aim wide, trying to hit as many as they can in the hopes that at least some will generate a return. Second, commonly being weakly protected, startups present attractive targets for cybercriminals. Whereas corporations sometimes spend months to recover from a cyberattack, a small company may simply not survive one. In 2014, hostile cybercriminal actions brought about the closure of a startup called Code Spaces, a hosting provider with tools for joint project management. The attackers accessed the company’s cloud resources and destroyed a considerable portion of its clients’ data. The service owners restored as much data as they could, but they were unable to return to normal operation. To properly safeguard your startup, given a limited budget, you might want to build a threat model before you go ahead with the launch — to figure out which risks are relevant for your business. Here, we help you by covering the typical mistakes of many first-time entrepreneurs. Many governments try to safeguard the security of their citizens. Europe has the GDPR, and in the U.S. there are multiple acts for different industries and states. All of these laws apply, regardless of whether you have read them. The punishment for breach of the related legal requirements may vary, but negligence is very likely to cost you a pretty penny: a fine at the very least — and a big one, too. At worst, you will have to suspend operations until you’ve eliminated any nonconformities with the relevant laws. One more important detail: Sometimes the law has a wider coverage than you might expect. For example, GDPR applies to all companies that handle European citizens’ data, even those from Russia or the U.S. So the best policy is to study both your domestic regulations and those of your partners and clients. Many startups rely on public cloud services, such as Amazon AWS or Google Cloud, but not all of them use proper security settings for such storage spaces. In many cases, containers with client data or Web app code end up protected by nothing but weak passwords — and internal corporate documents can be accessed with direct links and are visible to search engines. As a result, anyone can get hold of critical data. Sometimes, in their quest to keep things simple, startups leave important documents available to anyone in Google Docs for good — simply because they forget to restrict access to them. DDoS is an efficient way to down an Internet resource. On the darknet, such services are relatively inexpensive and therefore quite affordable both for competitors and cybercriminals, who need them as cover for more sophisticated hostile attempts. In 2016, a cryptocurrency e-wallet service called Coinkite was forced to close down because of continuous DDoS attacks. According to its developers, they hadn’t had a moment’s peace since they launched the service. After holding out for several years, the company gave up and refocused on hardware wallets. People are often the weak link in any given business. Attackers know it full well and use social engineering tricks to penetrate the corporate network or fish out confidential info. Poor awareness is doubly dangerous for companies employing freelancers: It may prove quite a challenge to control what devices and what networks they use for work. Therefore, it is very important to motivate and steer all workers toward a security-focused attitude. How can your startup stay afloat? Figure out which resources need protection first and what security tools you can afford at the earliest stages. In fact, many safeguards will not involve much expense. Use robust passwords to protect your work devices and accounts. Our Kaspersky Small Office Security solution includes the Kaspersky Password Manager utility built to generate robust passwords and store them inside encrypted containers. Do not neglect two-factor authentication — you will find it almost everywhere these days, and it really works. Thoroughly review the data-storage laws of the countries in which you plan to operate, and make sure your company’s personal info storage and processing workflow is compatible with those laws. If possible, consult lawyers about the traps and pitfalls of each market in question. Keep a close eye on the security of third-party services and software. How well-protected is the collaborative development system you use? Is your hosting provider safe? Are there any known vulnerabilities in the open-source libraries you use? These questions should interest you at least as much as the consumer properties of the end product. Raise your employees’ cybersecurity awareness and encourage them to dig into the subject on their own. If your company has no cybersecurity professionals on board (typical for a startup), find someone with at least some interest in the matter who can start by following our blog. Do not forget about computer infrastructure protection. We have a solution for budding companies with limited budgets. It will help automate security oversight over your workstations and servers and make secure payments online. No administration skills are required.